Health officials try to contain the deadly virus as the presence of multiple armed groups threatens to complicate their efforts. 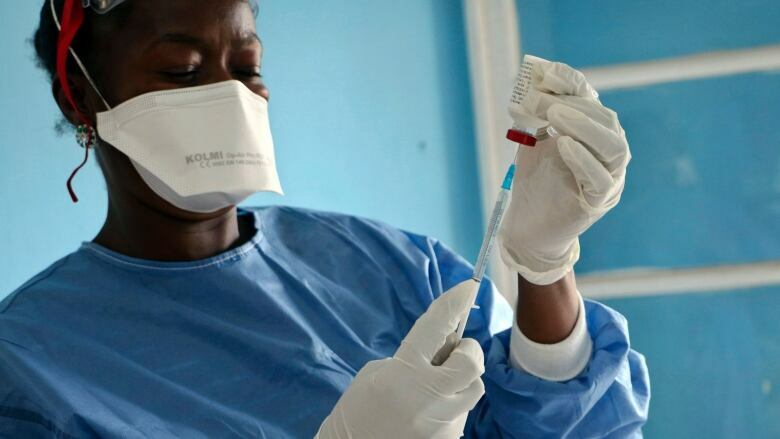 Ebola vaccinations are underway for Congo's latest outbreak of the deadly virus that has already claimed at least nine lives. Health officials have warned that containing the outbreak in North Kivu province is complicated by the presence of multiple armed groups vying for mineral-rich land in the northeastern region that borders Uganda and Rwanda. Ebola screening of travellers at the Congo-Rwanda border was "already in high gear," the World Health Organization said. The latest outbreak, declared Aug. 1 in Mangina village in the Mabalako health zone, is Congo's 10th outbreak since the virus was identified in 1976. As of Wednesday, when the vaccinations began, the outbreak had 17 confirmed Ebola cases, 27 probable cases and 47 suspected ones. The first people to be vaccinated on Wednesday included the Beni region's chief doctor and medical staff. Other residents in Beni and Mangina were to receive vaccinations Thursday, authorities said. "I will be very content to receive the vaccination tomorrow," said Solange Mbambu on Wednesday. "When I see the doctors preparing the funerals for those who have died from Ebola, without their family, it gives me goose bumps." Ebola jumps to humans from animals including bats and monkeys. It can be spread through contact of bodily fluids of someone infected, living or dead. There is no specific treatment, and the virus can be fatal in up to 90 per cent of cases, depending on the strain.